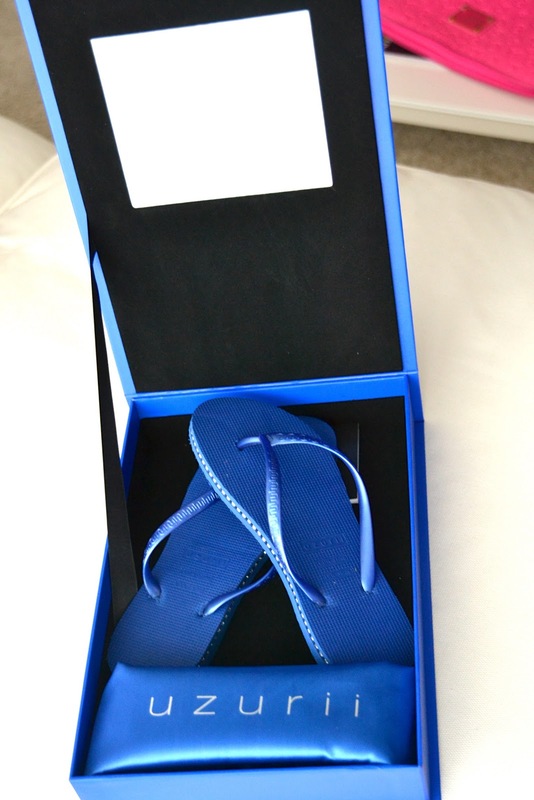 I received these cute luxury Flip Flops which are absolutely stunning. Uzurii is a luxury footwear brand (woman + men) from designer Shieglee Ferreira dos Santos. The shoes are hand-made in specialized workshops. Although yesterday felt like summer, today is quite the opposite : it's raining all day long ! I hope that the weather collaborates with me here so that I can wear these beauties soon ! Thank you so much Uzurii for this amazing gift !